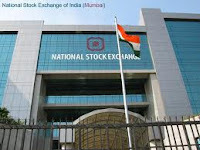 The National Stock Exchange is one of the largest and most advanced stock exchanges in the world. Nse has set up it trading system as a nation-wide,fully-automated screen based trading system. November 2000 Launch of Broker Plaza by Dotex International, a joint venture between NSE.IT Ltd. and i-flex Solutions Ltd.
July 19, 2010 Real Time dissemination of India VIX. Ongc Ex-split & bonus date is 8th Feb implying that whoever buys on or before 7th Feb will be entitled for split & bonus. Record date is 9th Feb and allocation date is 15th Feb. After split & bonus, one share (purchased on or before 7th Feb) will become 4. Ex-date price is expectd to be about 1/4th of current prevailing price.